The U.S. Border Patrol continues to question people at the Spokane Greyhound bus station, despite an ordinance passed by the Spokane City Council last month. The City Council attempted to restrict the ability of immigration enforcement to board buses in the Spokane Intermodal Center with an ordinance last month after local organizations such as Planned Parenthood and the Spokane Coalition of Color raised concerns that the agency might be racially profiling. The ordinance the city passed barred the Border Patrol from entering city property without a warrant or permission from the mayor. 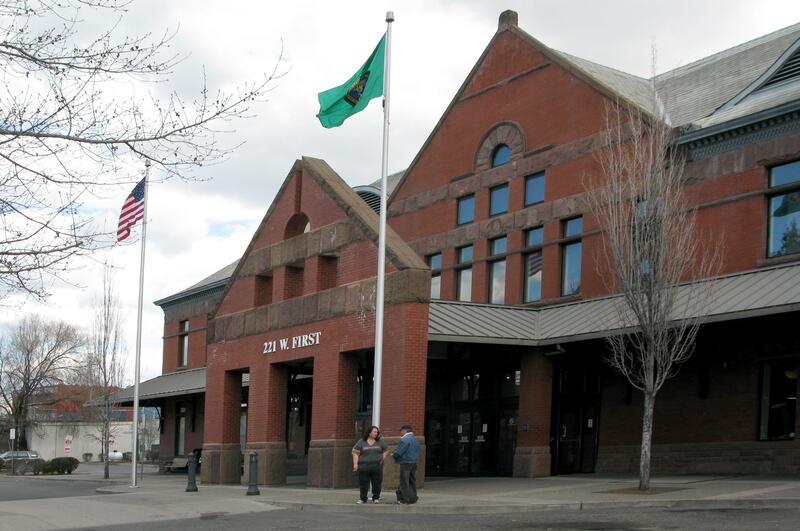 However, Spokane Mayor David Condon cautioned that city employees don’t have the authority to prevent immigration officials from entering city property. Bill Kingsford, a spokesman for the Spokane Border Patrol Sector, said the Spokane Intermodal Center is the only place the agency boards buses in this sector. The Intermodal Center is within the 100-mile-border zone, outlined in the Immigration and Nationality Act, where federal immigration officials can enter vehicles without a warrant. Kingsford said the Border Patrol question every person on the buses they board and were therefore not racially profiling. He added that the agency had not sought permission from the mayor or changed its practices since the ordinance was passed. He said the people who were arrested at the Intermodal Center have been detained after “consensual encounters,” on buses, where an agent asks a person questions and they can decline to answer or walk away. He said when agents are on buses questioning people, they try to do so in a way that they can leave. He added that if an agent becomes reasonably suspicious during a concessional encounter, the situation can change. More than 200 people have been apprehended by Border Patrol around the Spokane Greyhound bus station since 2013. During the most recent fiscal year, which ran from Oct. 1, 2017, to Sept. 30, the agency apprehended about 30 people at the center. It arrested 25 people at the Intermodal Center in fiscal 2013, 58 in fiscal 2014, 22 in fiscal 2015, 36 in fiscal 2016 and 34 in fiscal 2017. Kingsford said the number of arrests across the Spokane sector has grown more rapidly than Intermodal Center arrests. Last fiscal year, 208 were arrested arrested across Washington, Idaho and Montana. This fiscal year, 348 people were arrested.